Sports can be one of the most entertaining and fun experience or activities we can do in our lives. But it can be a very dangerous one, many athletes can receive several hits that cause bruises or break bones in the process. And one bone vulnerable to taking hits or breaking is our beloved teeth. That is why we have to be very careful when practicing some sports. Not every sport is super dangerous, and we need to respect the rules and safety notes to avoid harming ourselves while doing so. Let’s review together some important tips to prevent breaking or chipping our teeth in sports. As I was saying before, one of the best advices available is to follow every safety rule when we play a sport. What this means is that we have to play nice and follow the rules to practice a determined sport. For example, if we are playing football, it is mandatory to use the equipment necessary to play, like the helmet. In the case of baseball, this can apply too. I think that by this point you can get the idea we are talking about. You just have to take in mind that if the sport needs an equipment for safety you should get to practice. There are other sports that are a little more extreme, such as snowboarding or skating. There are several others out there but the thing is that they are as extreme as their name suggests and expose you to nasty accident where you can lose your precious teeth. Here the same rules apply, you have to wear protective gear to prevent accidents and injury in the process. One mental note you should remember is that you have to be very responsible and judgmental with the risk you make. One of the most important pieces of gear that can’t miss for several sports is the mouthpiece. This little buddy protect your teeth and mouth from injuries in most sports, but specially in contact sports like boxing and other martial arts. Due to the nature of these kind of sports it is very important that if you practice some of them, you should always wear your mouthpiece to protect your teeth. In case you ignore the use of mouthpiece, you can bet that you will lose more than one tooth in the process. 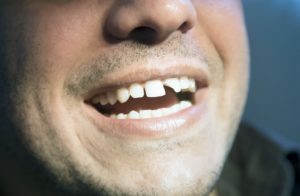 Finally, one thing you have to understand is that the only way to treat a chipped tooth is to going to a dentist. 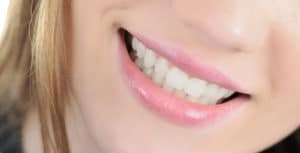 Here in Dental Solution Los Algodones we can take care of the chipped teeth with several prices and procedures. But the most important thing is to go to see your dentist as soon as your tooth breaks or chips. Until then you can apply icepacks to numb the area but never apply directly to the tooth. The nerves are really sensitive and you can screw yourself more than you think. Another important tip is to take pain relievers before the pain settles in or you won’t have a good time, trust me. In case of bleeding profusely use a piece of cotton, cloth or a tea bag to try to stop it. So now you know. To recap a little bit let’s backtrack a bit and resume, always follow the rules, wear protective gear such as mouthpiece, be responsible and in case of breaking or chipping a tooth go to your dentist as soon as possible. Follow these advices and you won’t suffer too much. That is all for today guys, I hope you are doing ok and have a great week. Bye!